With the nation facing considerable economic difficulties and outgoing president Michele Bachelet of the Socialist Party seeing a sharp drop in her popularity, a major reversal for the left was expected in Sunday’s elections in Chile. Considering these headwinds, however, the left-center forces did not fare too badly. Citizens voted for a new president as well as senators, congresspersons, and local officials in the November 19 poll. The presidential race will now head to a runoff to take place December 17. The results of that vote will depend on the ability of the left and center forces to unite and increase the vote turnout, which was below 50 percent on Sunday—a record low for recent years. 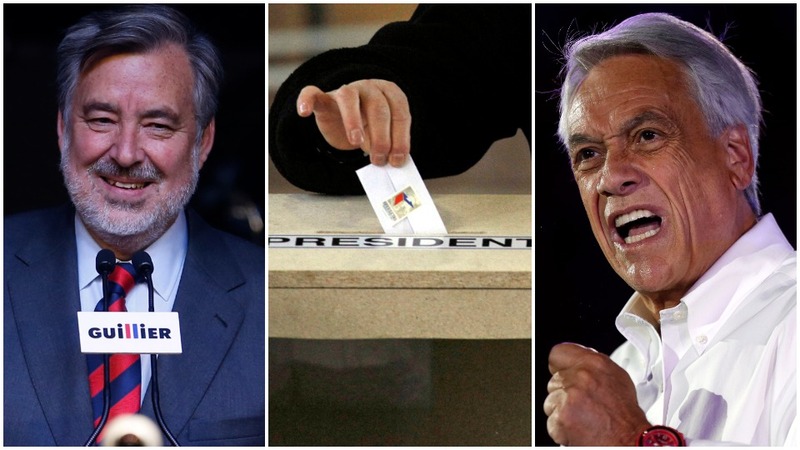 In the presidential contest, the largest number of votes went to the main candidate of the right, businessman and former president Sebastian Piñera of the five-party “Chile Vamos” (“Let’s go, Chile”) slate. He took 36.64 percent. 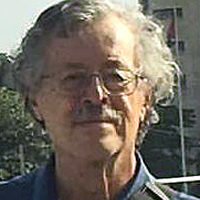 As expected, second place was taken by independent left-wing journalist Alejandro Guillier, running as the candidate of the Force of the Majority slate. Force of the Majority (la Fuerza de la Mayoría) is anchored by the main parties which have supported center-left politics in recent years in Chile—the Communist Party, the Broad Social Movement (MAS Region), the Socialist Party, the Citizen Left, the Party for Democracy, and the Social Democratic Radical Party. Guillier got 22.70 percent of the vote and will face Piñera in the December runoff. 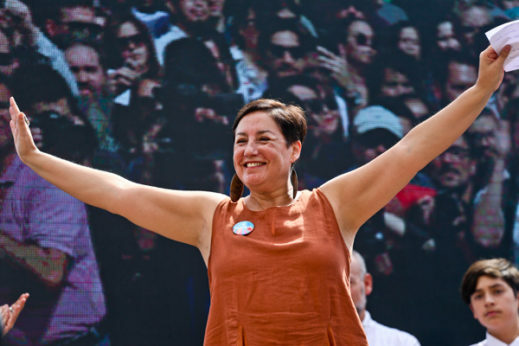 Perhaps the biggest surprise of the presidential election was the large vote—20.27 percent—that went for Beatriz Sánchez, the candidate of the Broad Front (Frente Amplio) slate. The Broad Front incorporates six mostly left-of-center parties. Sánchez herself comes out of the Democratic Revolution Party (Revolución Democrática), which is joined in the Frente Amplio by the Humanist Party, the Liberal Party, “Power,” the Green Ecological Party, and the Equality Party. Some of the activists in these parties were formerly affiliated with the Socialist Party but left to form new groups out of dissatisfaction with progress toward the goals of the left under Socialist presidencies. Concerns of the Broad Front include social justice and environmental protection, which also characterize the platform of the Force of the Majority coalition. Two of the remaining presidential candidates were on the right: The independent right-winger José Antonio Kast, who got 7.93 percent of the vote and Eduardo Artés, who got 0.51 percent. Two more left-of-center candidates rounded out the group: Marco Enriquez-Ominami of the PRO (or Progressive) party, with 5.71 percent of the vote, and Alejandro Navarro of the País (“Nation”) party with 0.36 percent. Carolina Goic, of the centrist Christian Democratic Party, got 5.88 percent. So the total vote for candidates of the right-wing parties combined was less than those of the various candidates of the left and left-center. If the left can unite behind Guillier for the runoff, win over a substantial proportion of Christian Democrat voters, and increase the turnout of their electoral base, it is possible they win against Piñera. But they have less than a month to accomplish all these things. In the legislative elections (for 23 seats in the 43-member Senate, or upper house, and all 155 seats in the Chamber of Deputies, or lower house) a similar alignment of forces has emerged from the election. The right-wing parties lined up with Piñera’s neoliberal, socially conservative politics will now have the most seats in the both houses. Chile Vamos got 19 seats in the Senate and 73 in the Chamber. This falls short of a majority in either house, and they have few other right-wing colleagues to whom they can turn for alliances. At the same time, the Force of the Majority left-center alliance that backed Guillier’s presidential bid got 15 seats in the Senate and 43 in the Chamber of Deputies. They will have to make legislative alliances with the other left and centrist forces who have representation in the legislature. However, they are in a better position to do so than is the right: There are the single Senate seat and the 20 Chamber of Deputies seats won by the Broad Front, for starters. But even so, this will not be enough. The Democratic Convergence group of parties, anchored in the venerable Christian Democratic Party, won six seats in the Senate and 13 in the Chamber, and will be approached by both left and right with offers of agreement. The Christian Democrats were a strong party before the bloody military coup d’état of September 11, 1973, which overthrew Socialist Party President Salvador Allende and initiated the long dictatorship of General Augusto Pinochet. Since the end of the dictatorship in 1988, the Christian Democrats, as well as the Socialists, have been a key part of what was called the “Concertación” alliance of political parties which won every election until Piñera’s first election as president in 2010. In the 2013 elections, for the first time, the Communist Party joined in coalition with the Christian Democrats, Socialists, and others to form the New Majority Party. In that election, the Socialist Party’s Bachelet won the presidency and the New Majority parties won a narrow majority in the Senate and a large plurality in the Chamber of Deputies. The logical step for the left and center-left forces now will be to ally with the large new contingent from the Broad Front, as well as with the other small left-wing parties. It will also be necessary to get the support of the Christian Democrat centrists in order to constitute a parliamentary majority. The electoral results surprised many, given the advances of the right in a number of other South American countries. Although Bachelet’s government started out with a lot of public goodwill, its popularity has declined sharply in the recent period. Like other countries of the region which depend on the sale of commodities to develop their economies, Chile—where copper is king—has been hit hard by declining prices on the international markets. There is also dissatisfaction with Bachelet’s government on the left. Within the governing New Majority coalition, there are sharp differences of opinion over a number of policies. For example, Bachelet’s decision to follow Piñera’s initiative of making Chile part of the Trans-Pacific Partnership met with strong opposition from the Communist Party, which also criticizes the government’s negative stance toward Venezuela. Labor, youth, and student groups have wanted the government to break with the centrist policies of the Concertación period and move more decisively to reverse Pinochet-era laws which have favored private schooling and a semi-privatized pension system. The country’s main minority population, the million-and-a-half strong indigenous Mapuche people, were helped by Allende but repressed by the Pinochet dictatorship, which reversed Allende reforms which had returned land to the them. There are also sharp conflicts today between Mapuche activists and the police. On Sunday, incidentally, a Mapuche woman was elected to the Chamber of Deputies for the first time—Emilia Nuyado Ancapichún, under the Socialist Party banner, although the right made gains in the Mapuche region overall. There is, then, a strong push coming from many sides for more solid progressive advances, as evidenced by the larger, but fractured, left-wing vote. With all the shifting of political alliances and the simmering of policy conflicts, it cannot yet be assumed that dissatisfaction with Bachelet’s government will necessarily mean a move to the right. December 17 will be a day to watch closely—not just for Chile, but for all of the left in Latin America and more broadly.